Box Text: ASSAULT SUIT SQUAD, SCRAMBLE! 09-01-2016 Flashback2012 Box Text ASSAULT SUIT SQUAD, SCRAMBLE! UNITÉS AS, DÉPÊCHEZ-VOUS! 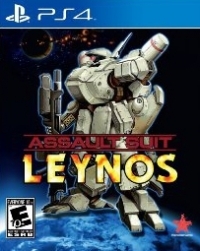 This is a list of VGCollect users who have Assault Suit Leynos in their Collection. This is a list of VGCollect users who have Assault Suit Leynos in their Sell List. This is a list of VGCollect users who have Assault Suit Leynos in their Wish List.